We use high-resolution land cover and stream network maps to characterize the freshwater migration corridors for river herring, so that we can predict which streams are most important to these fish. 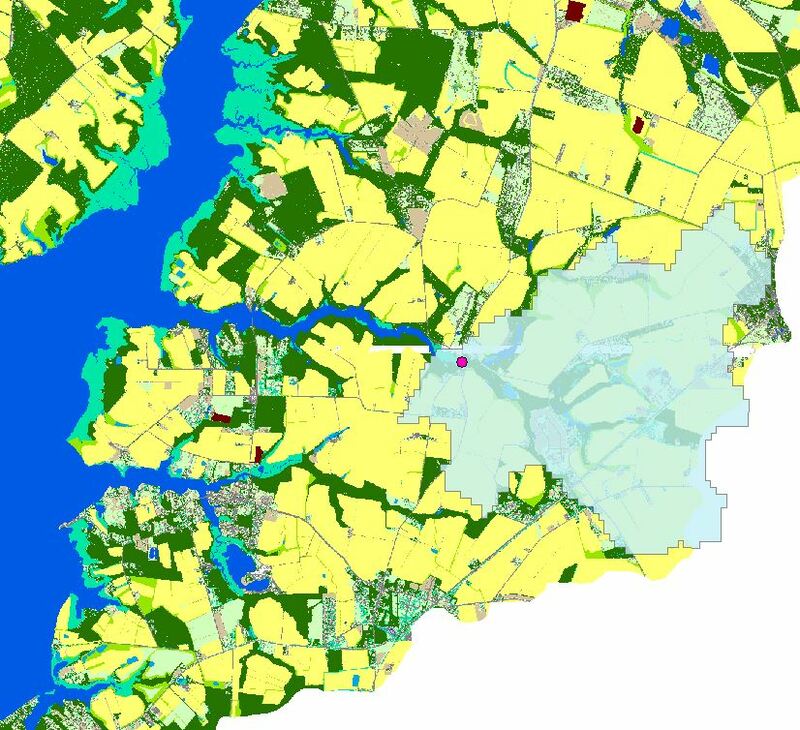 We want to understand how land use affects habitat for migratory herring in the Chesapeake Bay watershed. River herring is a collective name for two species of fish that live along the Atlantic coast of North America: blueback herring and alewife. Like salmon, these fish hatch from eggs in freshwater streams before migrating to the ocean. Unlike most salmon, they can return to streams to spawn many times in their lives. River herring were once plentiful and provided important food sources for humans, birds, and other fish, but there numbers have declined. We are working to understand how different land uses along streams and in watersheds affect how river herring use these spawning streams. The Fish and Invertebrate Ecology Lab conducts stream surveys each year to observe where river herring are found in Chesapeake Bay streams (see River Herring Conservation Project). We combine these data with maps of land cover, topography, and stream networks to quantify the land uses associated with river herring presence in streams. We can examine the land near a fish survey point, the land along the stream that the herring swam up to reach the survey location, and the watershed that drains to the survey location. We use statistical models to understand how these measures relate to river herring habitat use and to predict how likely river herring are to be present in other streams.